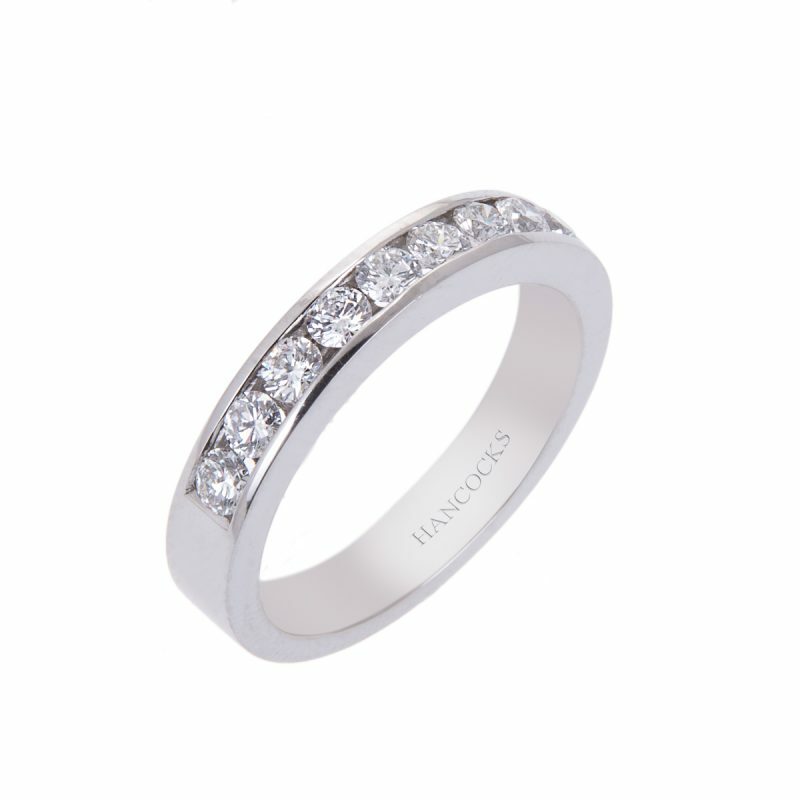 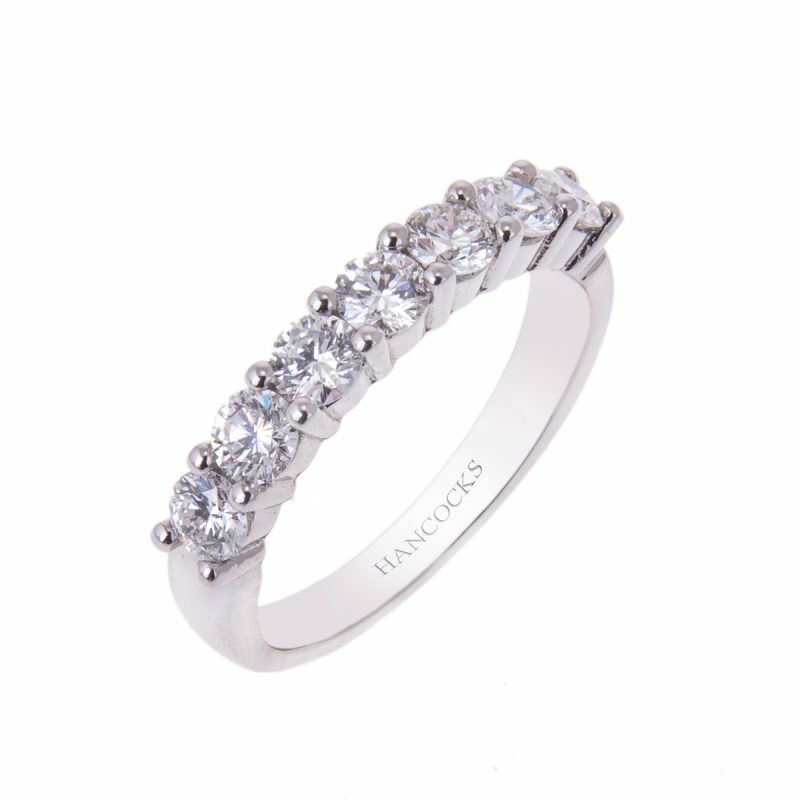 Enjoy the bold styling of this platinum half eternity ring set with brilliant cut diamonds. 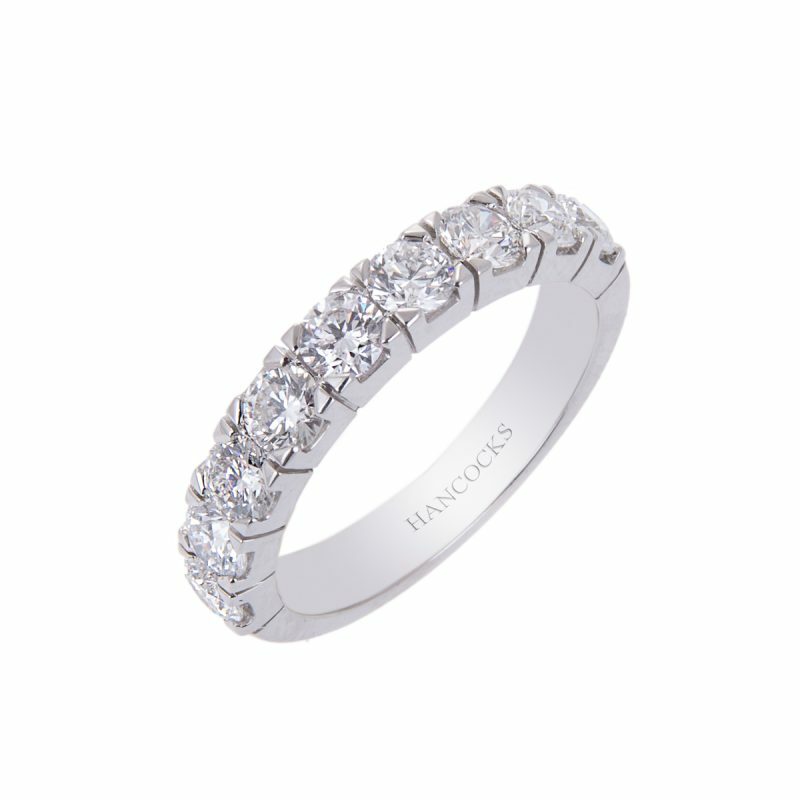 The best of both worlds, contrasting the polished texture of the square section band with the glittering intensity of the diamonds, each are nestling in the claw set security of this stunning band. 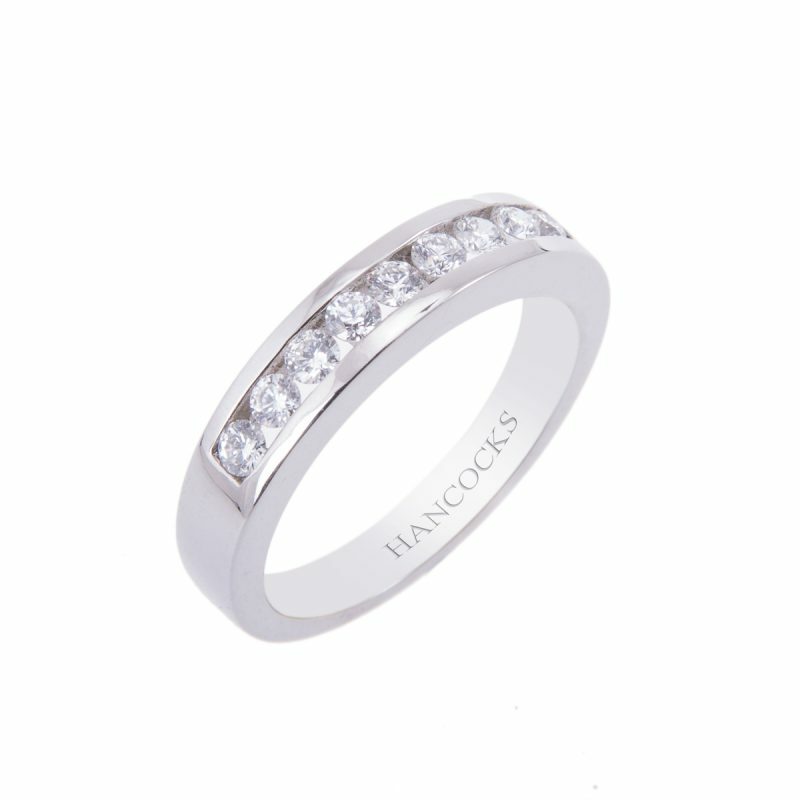 This circle of delight becomes a joy for ever.